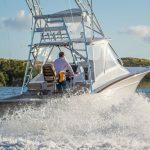 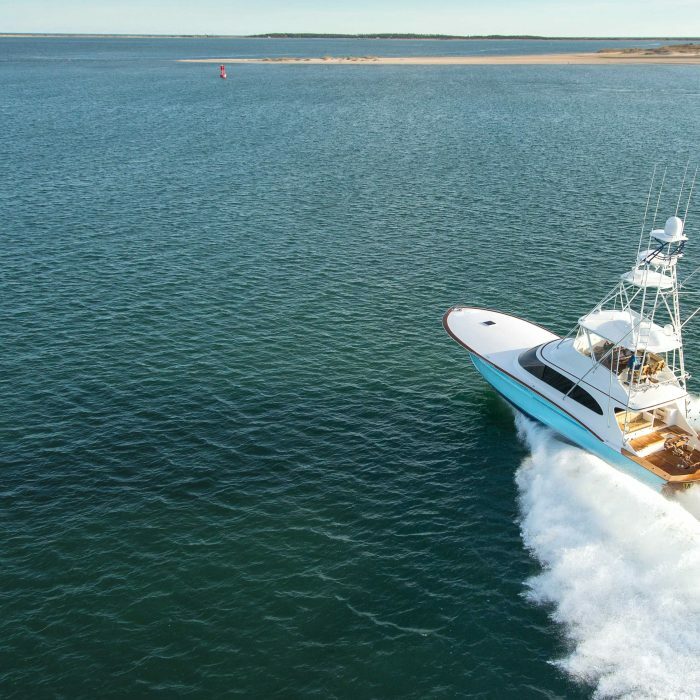 The sight of Hull W-22 from Winter Custom Yachts surfaces the special place custom Carolina boats have in the hearts of boat lovers. 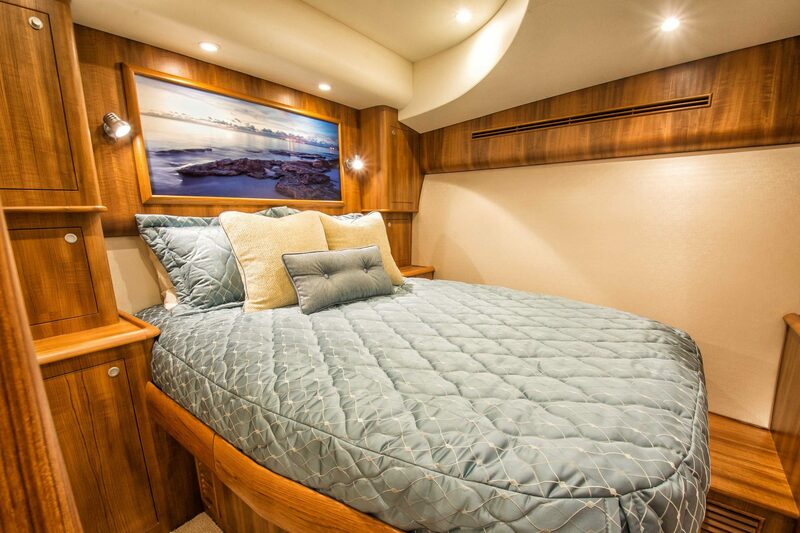 She features a magnificent curved transom, flowing broken shear line and beautiful Carolina flare. 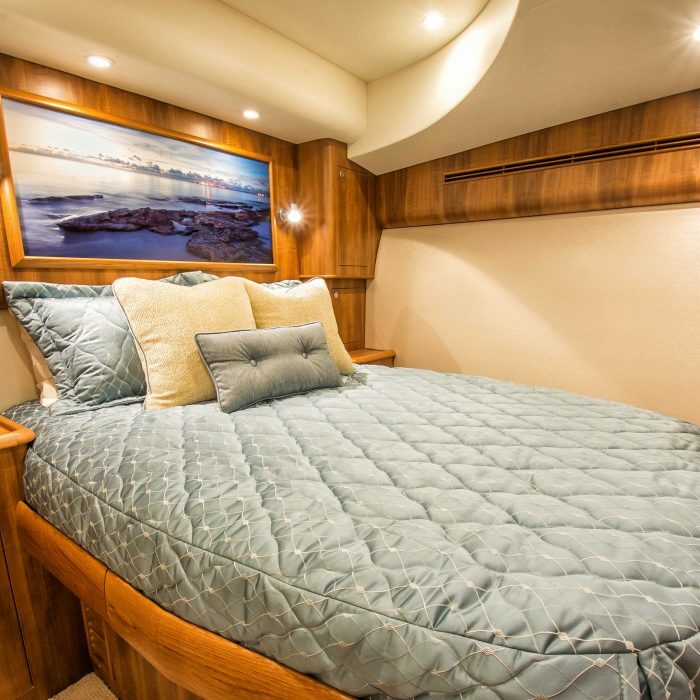 This 60’6″ craft was built to be a traveling boat as well as a family boat. 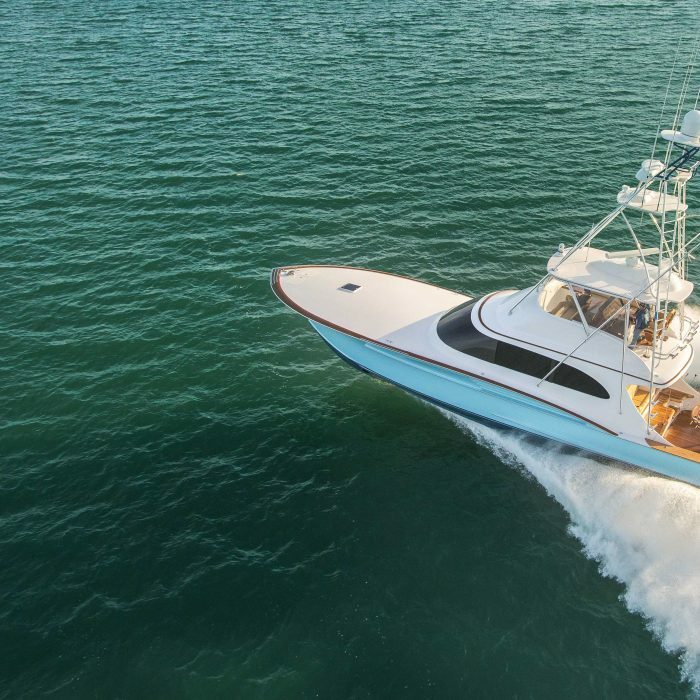 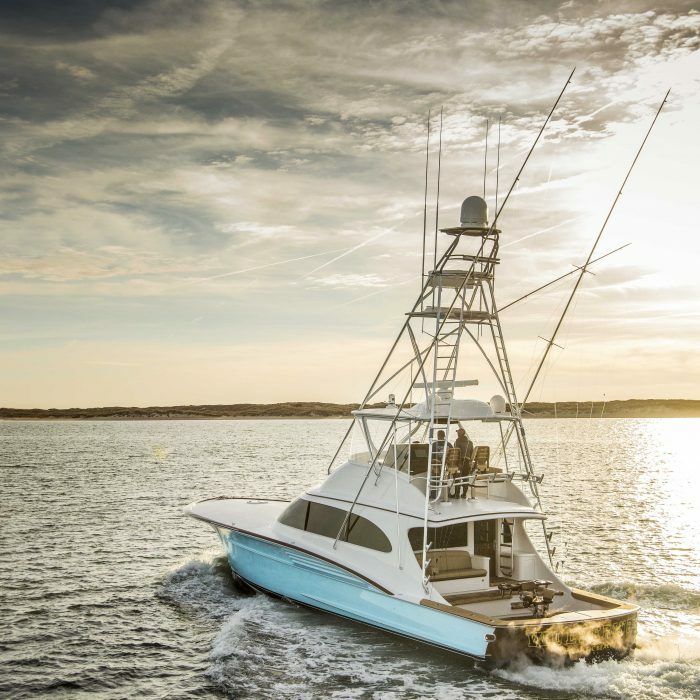 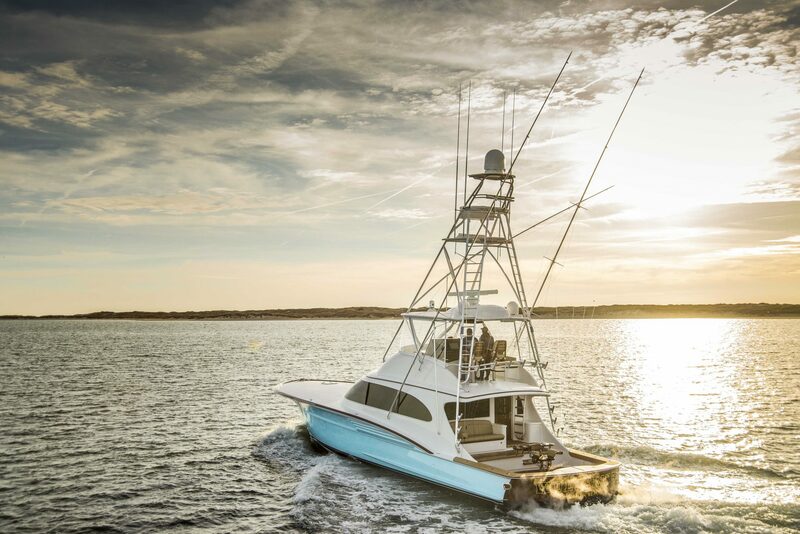 Designed for long-distance trips to Bermuda, the Bahamas, and the Pacific, Hull W-22 is a standing testament to the craftsmanship and care of the boatbuilders at Winter Custom Yachts. 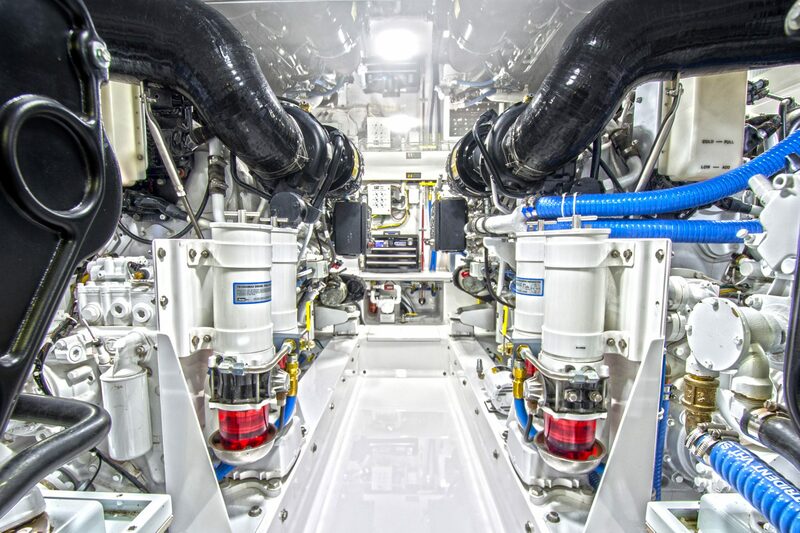 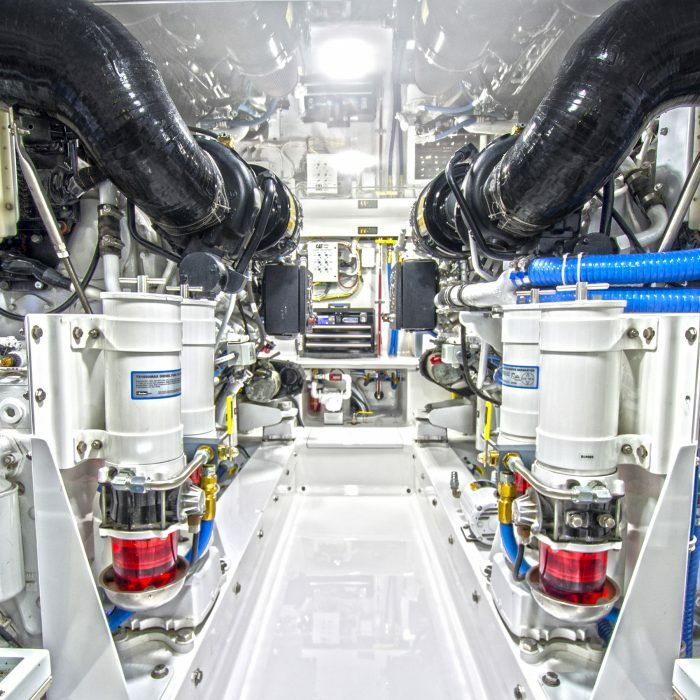 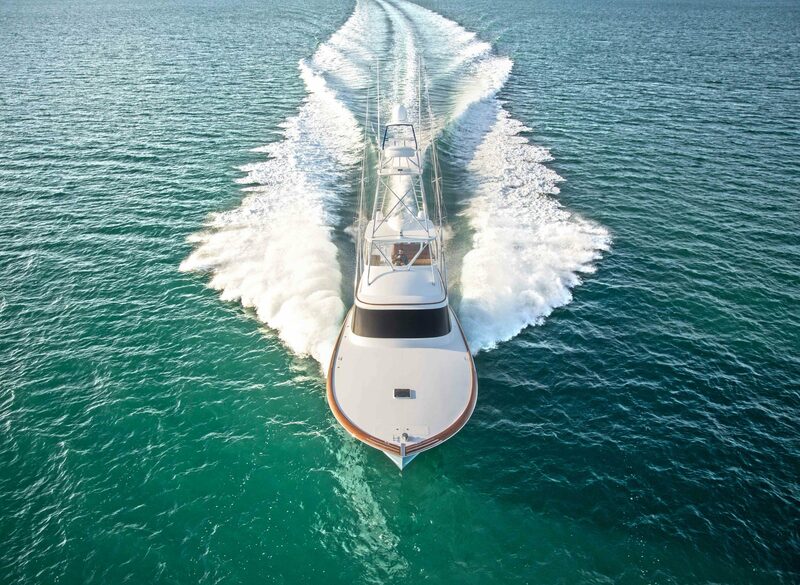 Powered by twin Caterpillar C32 ACERT 1,700 hp diesels and boasting a 1,925-gallon fuel reserve, she is well equipped in all areas. 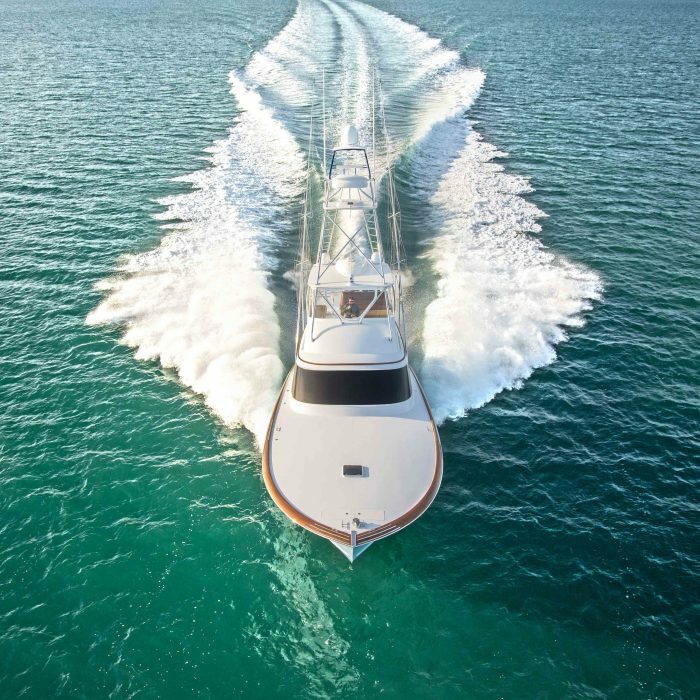 Amongst the world’s finest over 60 feet, its rare combination of power, handling, amenities, and styling make it truly one-of-a-kind. 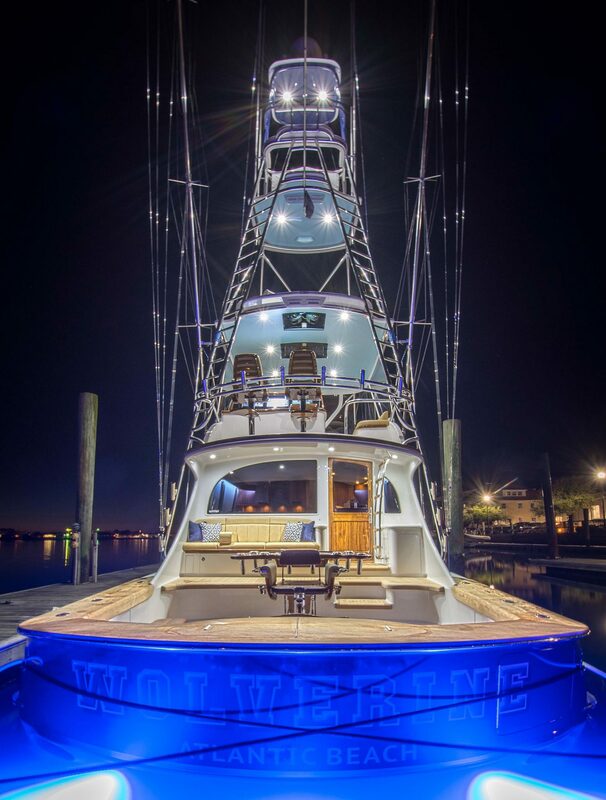 Wolverine’s cockpit is built to afford the owner’s family plenty of room to fish and enjoy each others’ company. 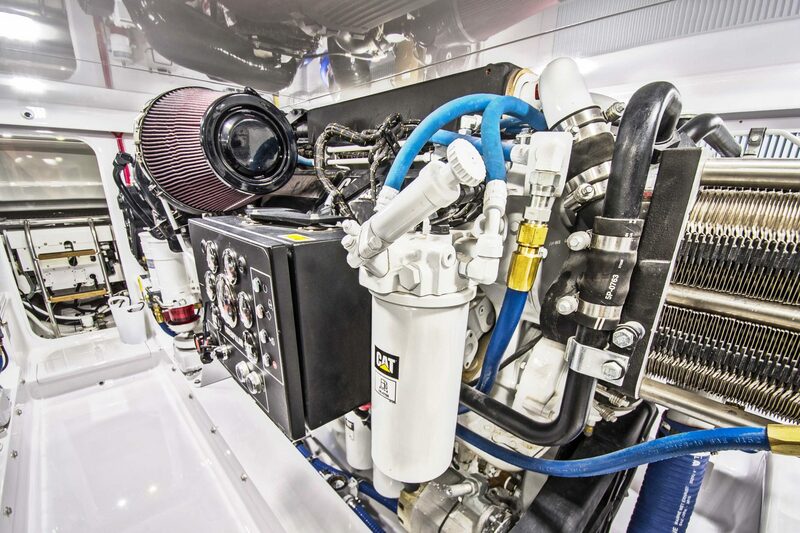 A Release Marine chair with a massive eight-hole rocket launcher and tray is the ­centerpiece of the cockpit. 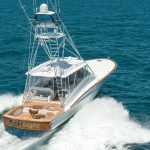 Strategically-placed tuna tubes on the port and starboard gunwales with lids that are a positive fit into the tuna tubes make life easy for a crew. 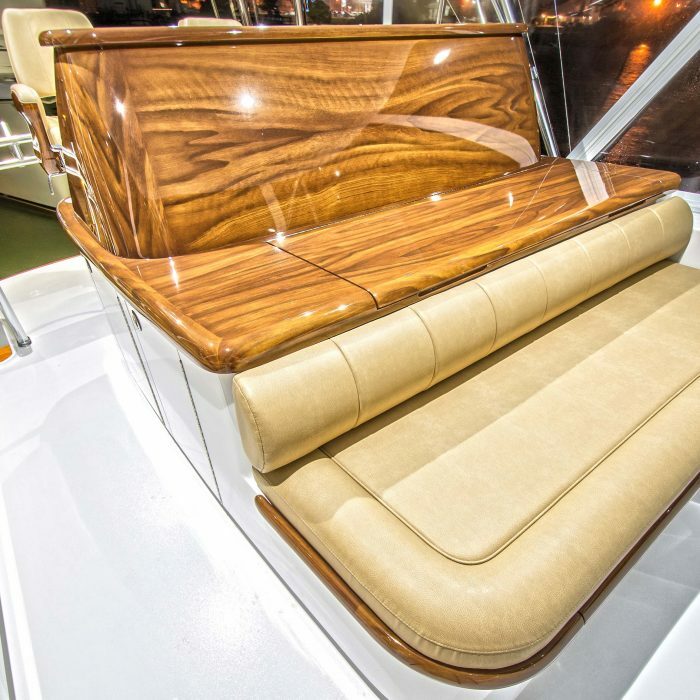 There are also tuna tubes on the transom within the combination livewell/fish box. 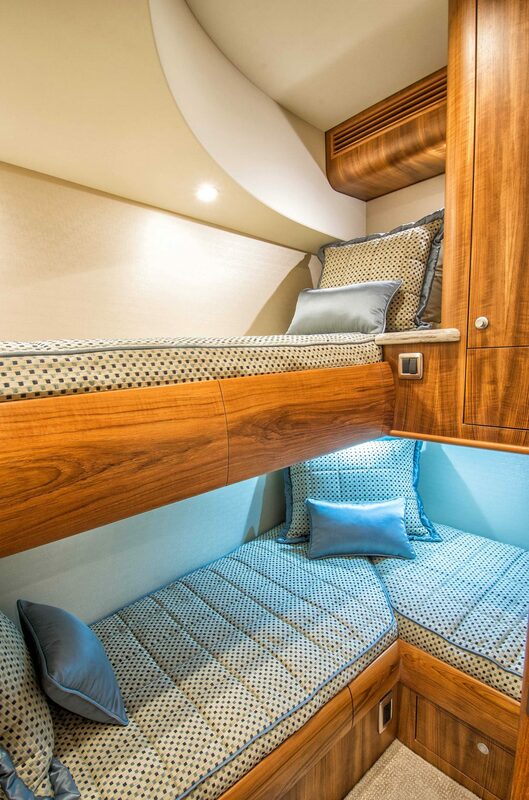 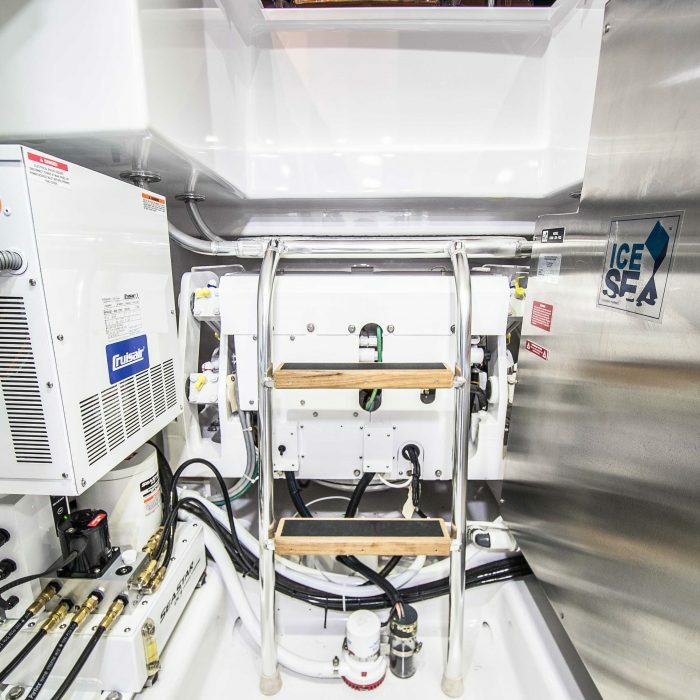 Simple design elements like this are the custom touches that owners of a Winter boat can expect.The mezzanine is complete with gaff, mop and chamois storage below the seat, and also features cockpit freezers on both sides. 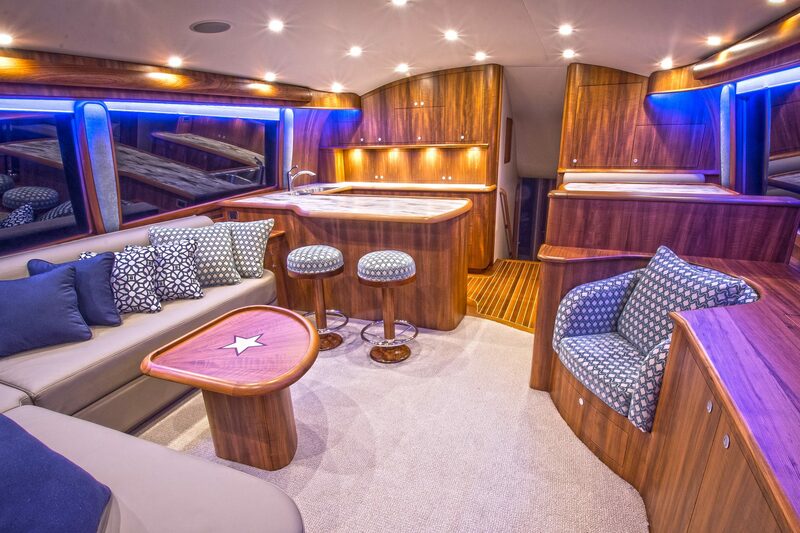 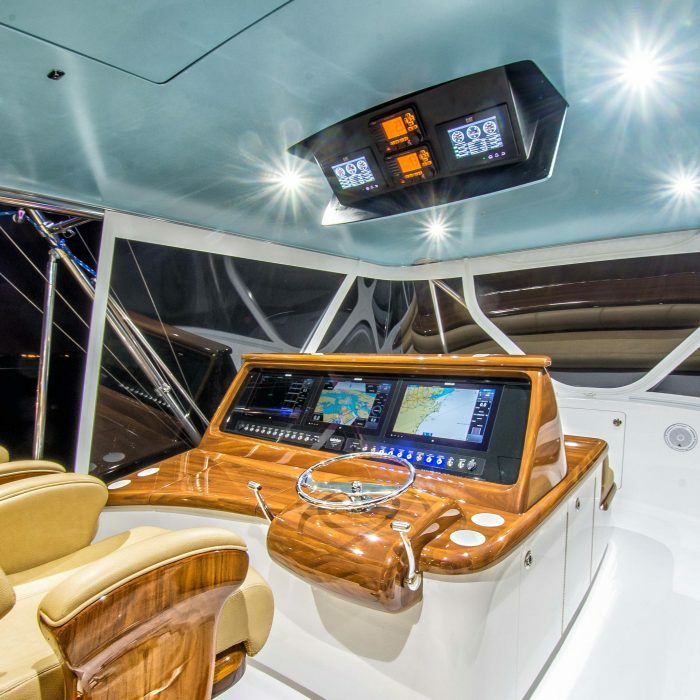 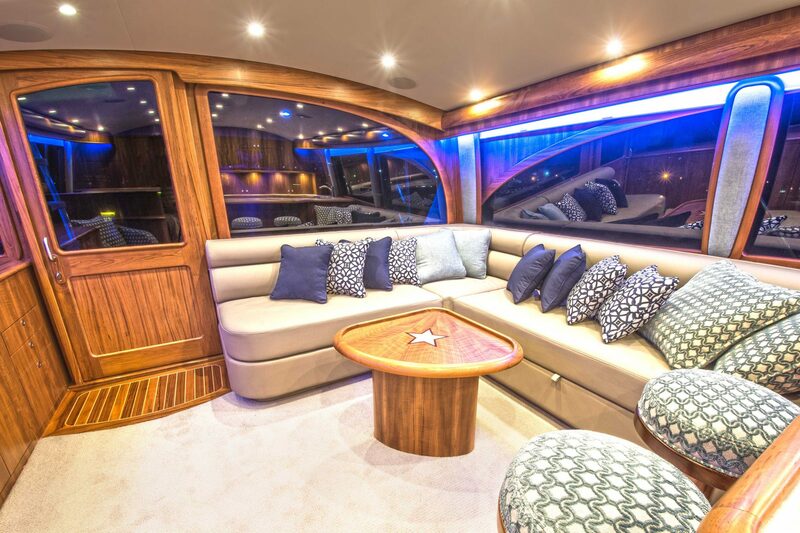 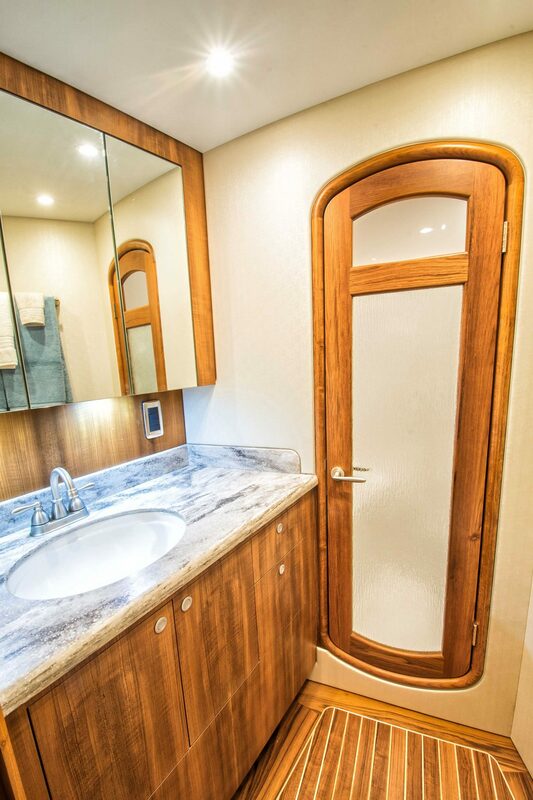 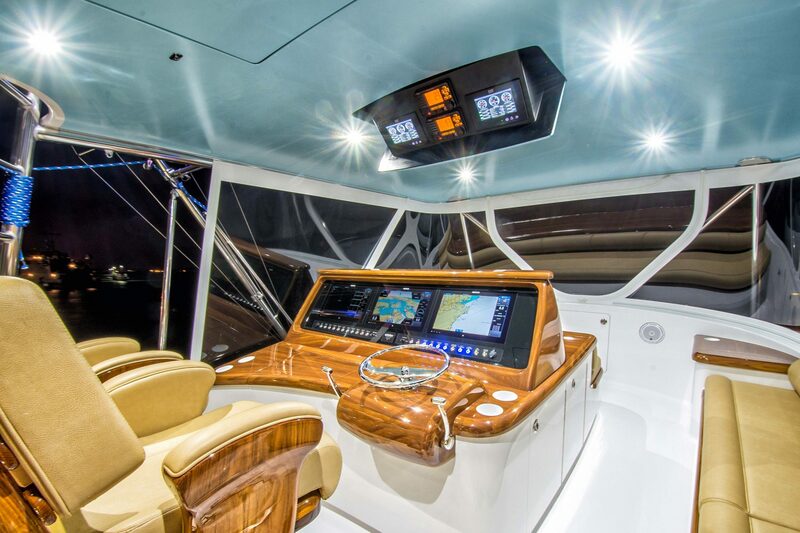 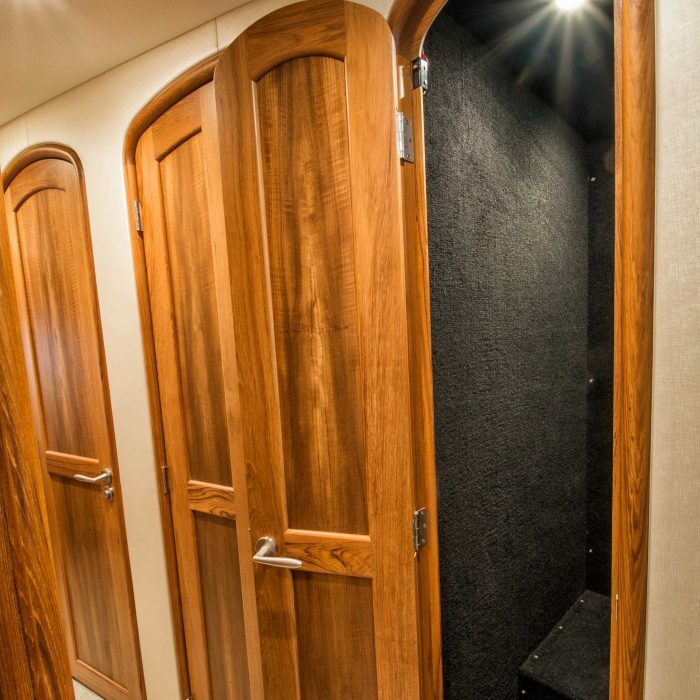 Hull W-22 is notable for its spacious salon, accessible through an all-teak sliding door. 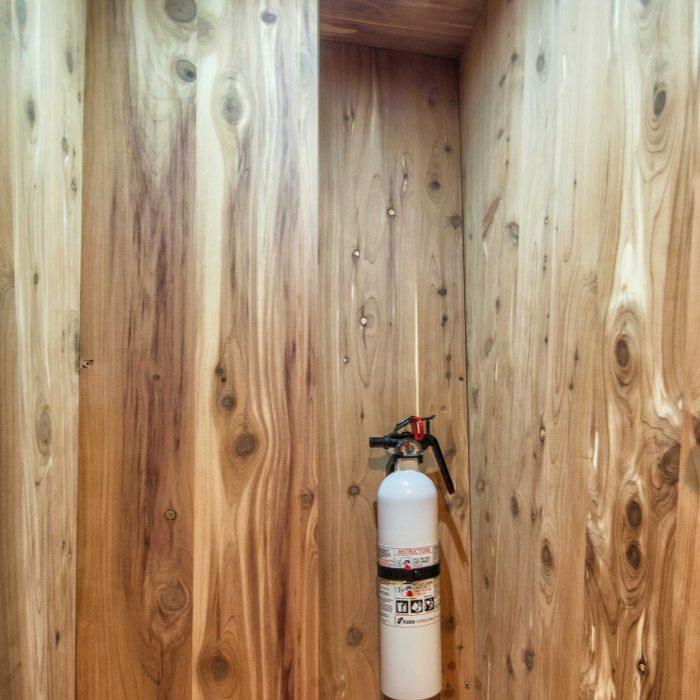 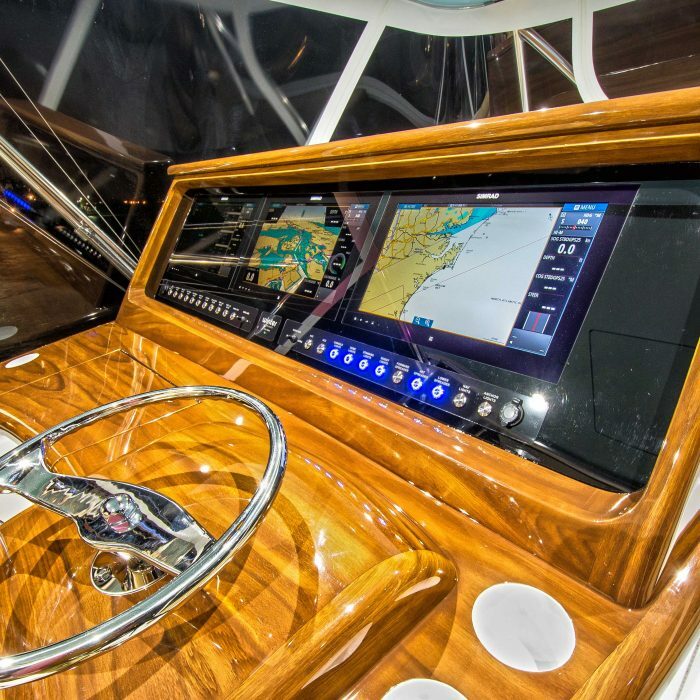 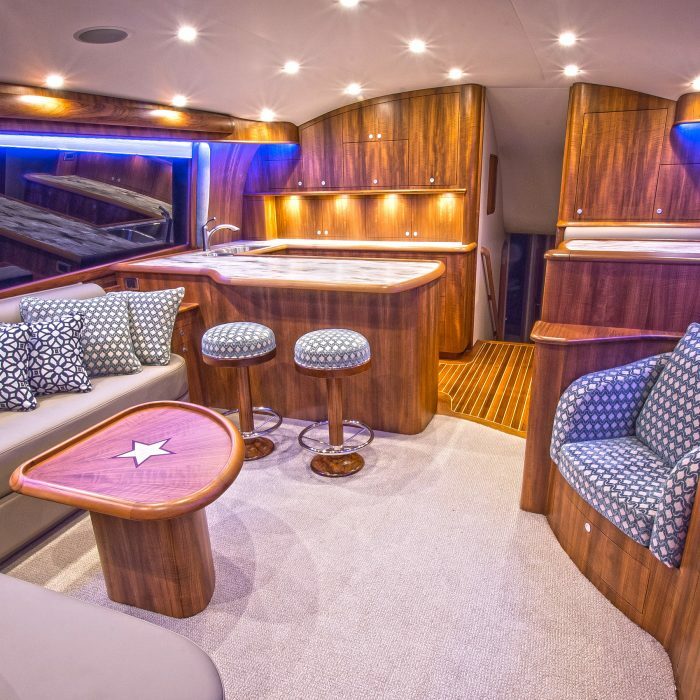 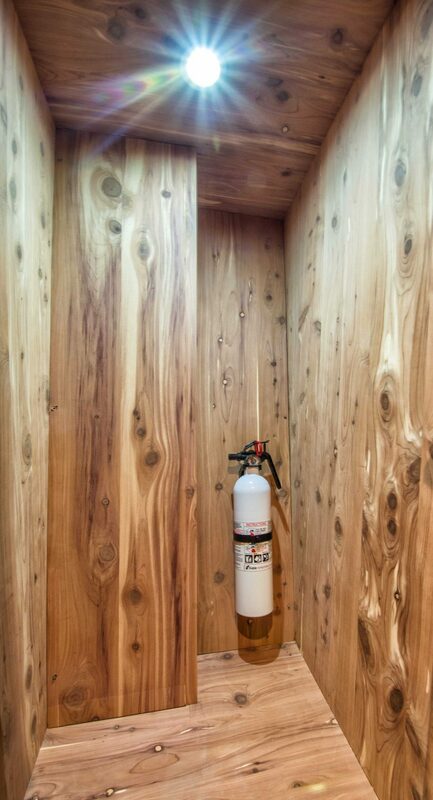 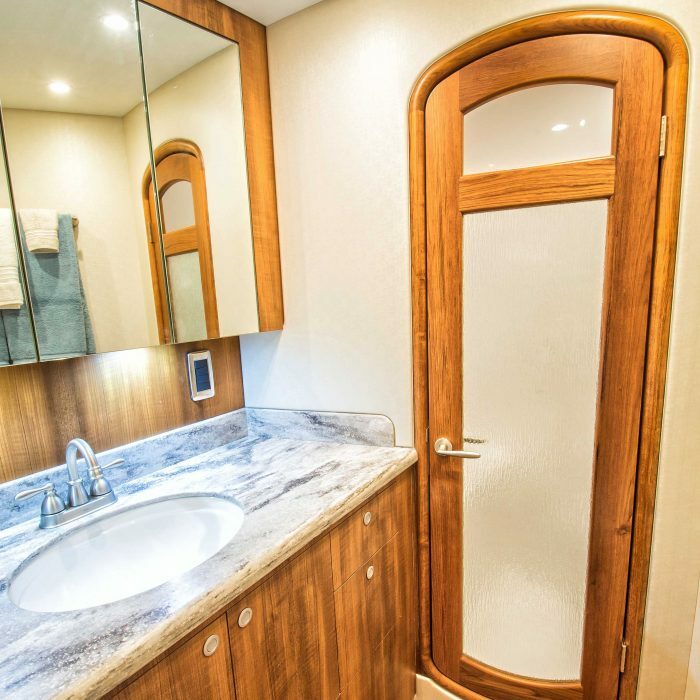 The interior is immaculately crafted with beautiful teak veneer work, which was cut from a single log. 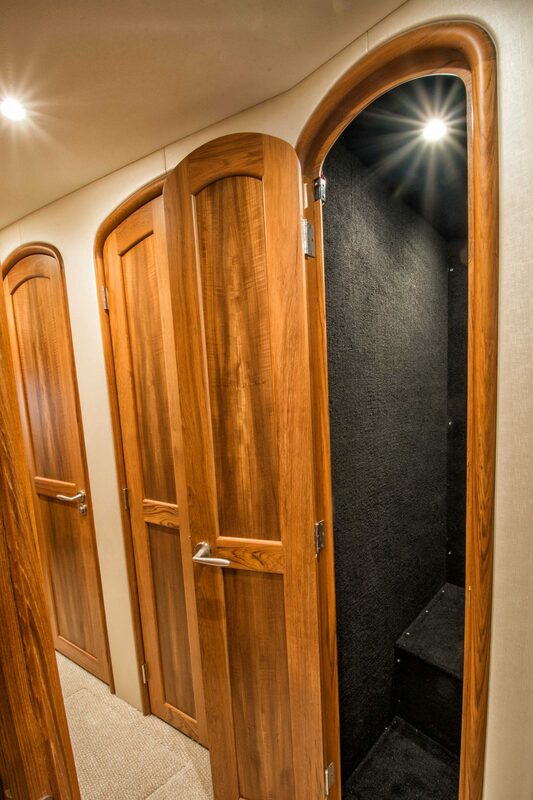 Taking this extra measured allow the Winter crew to produce a consistent grain throughout all living areas. 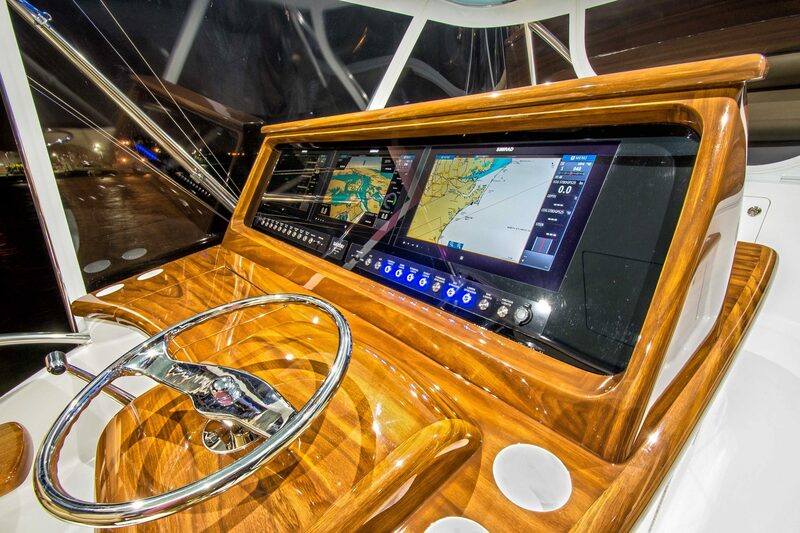 A flat-screen TV rests inside a teak cabinet to starboard. 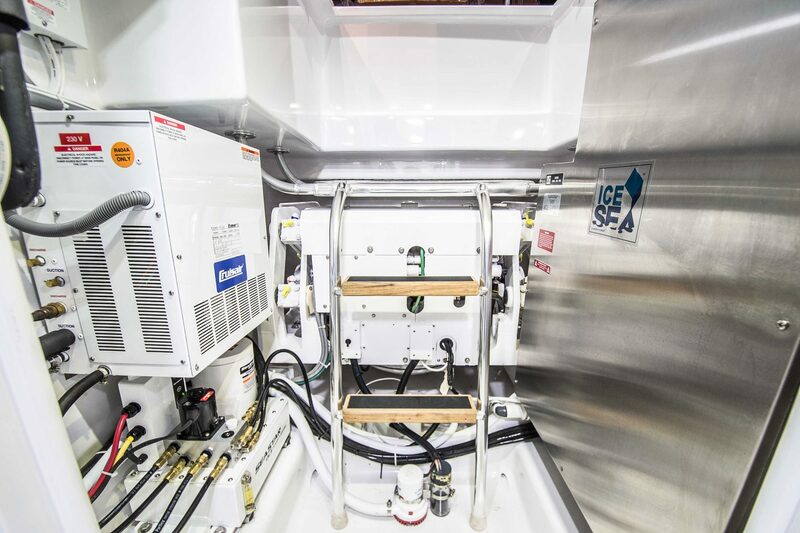 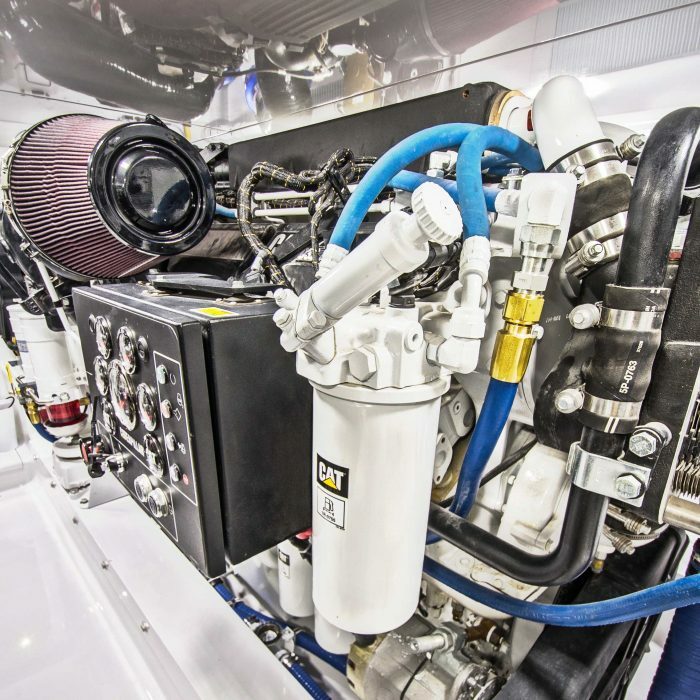 The aft end of the cabinet contains a storage area for cameras and is heated by the engine room to minimize lens fogging when traversing from the cool salon to the cockpit on a hot day. 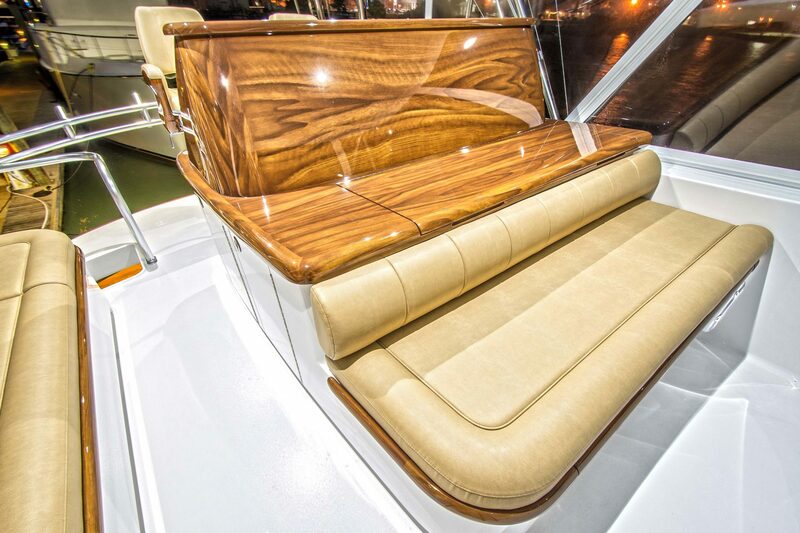 Built into the forward end of the cabinet is a comfortable bucket jump seat facing an L-shaped sofa to port. 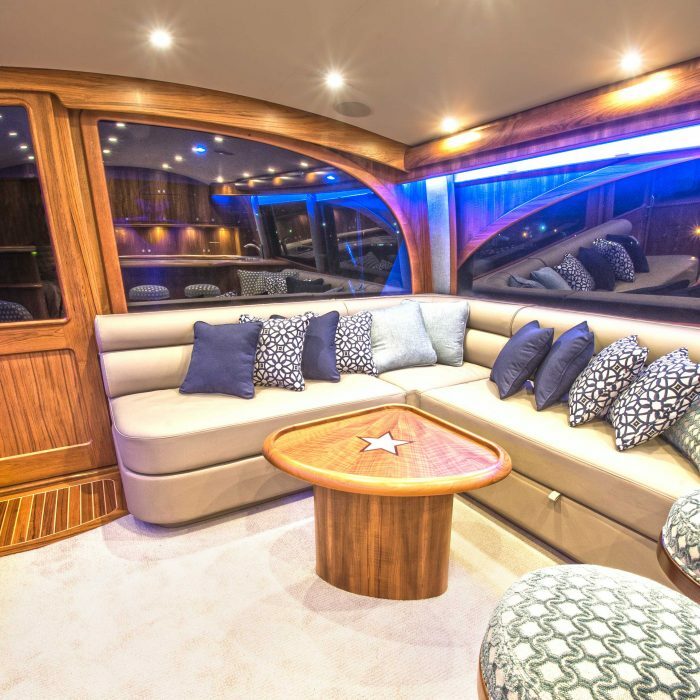 A raised settee sits forward on the starboard side. 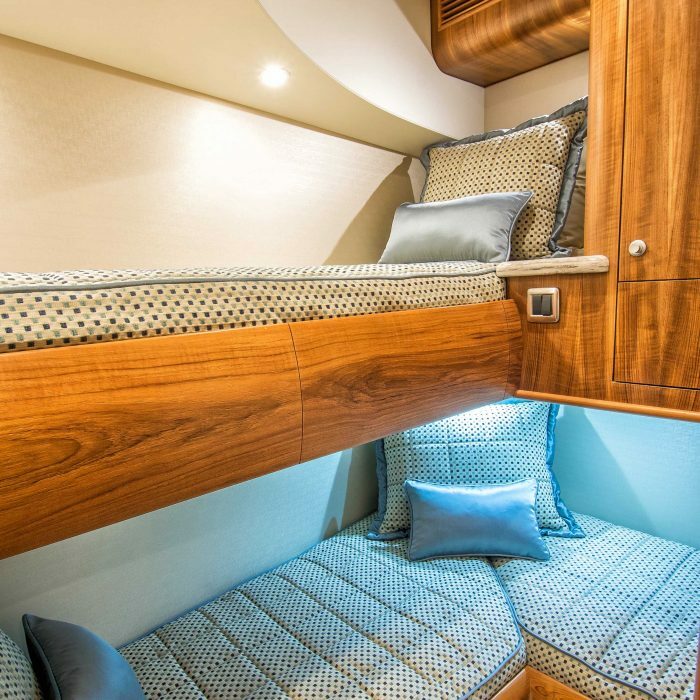 Below the settee are two drawers that can house an assortment of lures, teasers, and other equipment. 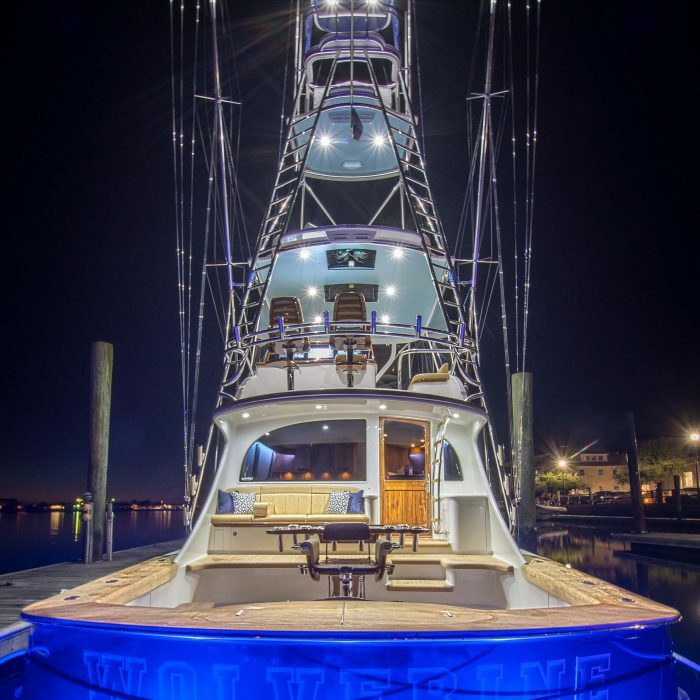 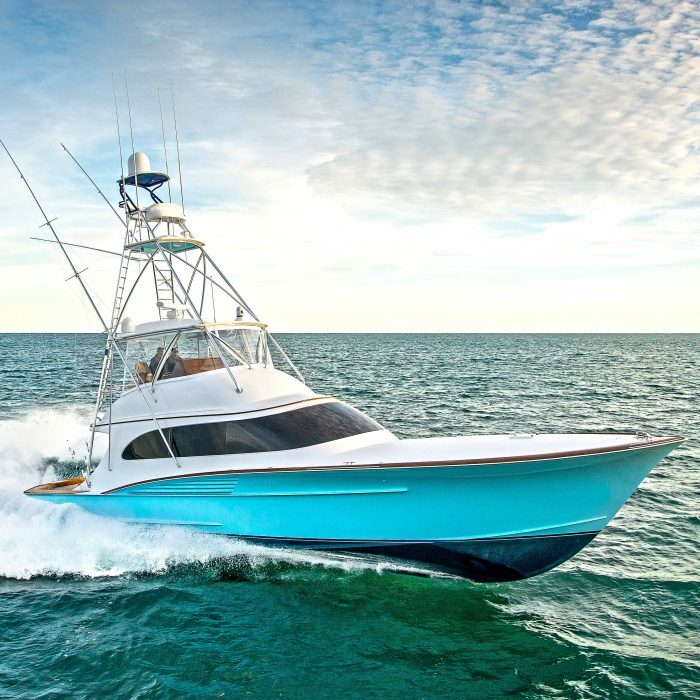 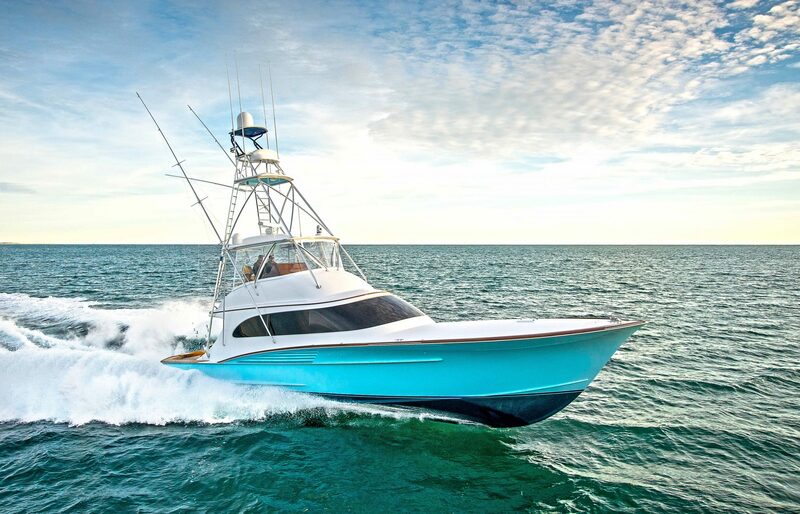 A magnificent marriage of design, functionality, and custom elements went into Hull W-22’s build.